Enjoying the Ride! International Dressage Rider Diana Zakharova relocated her horse to Wellington, Florida to compete among the top riders in the sport. After a successful Small Tour CDI career in Europe, Diana has her sights set on competing in in the United States, because she is always seeking a challenge. 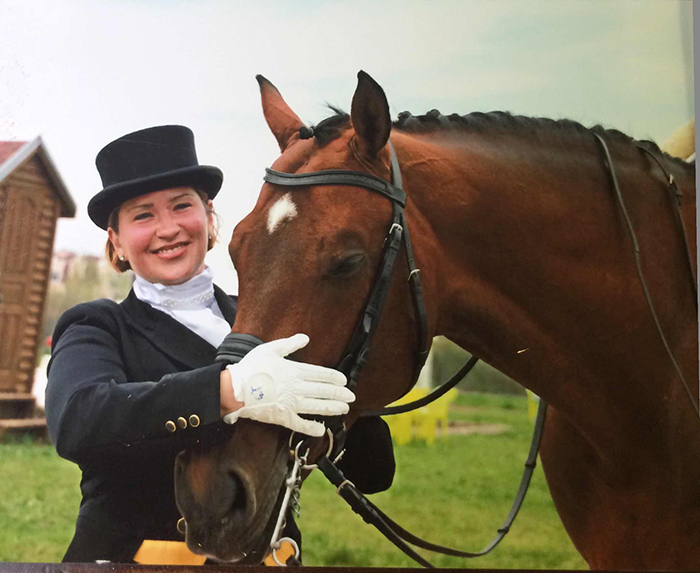 “I am very organized and can juggle raising my children and raising the bar on my riding, explains the mother of three who has her sights set on moving up to the Grand Prix. “My oldest boy is nearing college age and will have the opportunity to earn his degree in the United States. Diana herself earned her first degree in Economics in Russia and a second degree in the United States. Diana brought more than her horse and family from Russia to the US, she is already known for her perpetual smile and great attitude. 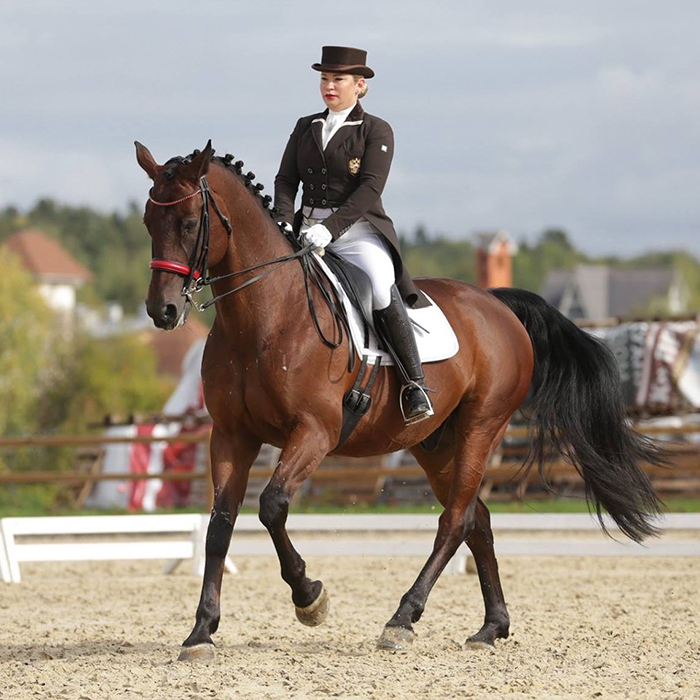 In Russia, Diana became the idol of her riding companions when after only a few years of competing she stepped up from the amateur ranks and challenged herself as a professional competing in the CDI. 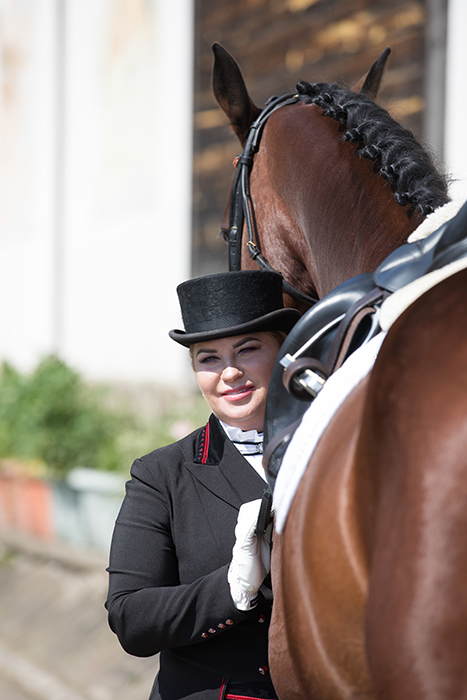 “I love the sport of dressage, almost as much as I embrace new challenges’, explains Diana, “I love being an ambassador of the sport and I believe having a positive attitude is the key to success in dressage… and life!” Along with her upbeat attitude, Diana is known for her eye for detail and fashion sense. “It is important to look and feel good to put your best performance forward”, she explains. That creed and her positive attitude has made her a favorite amidst her dressage peers in the US. • Competed successfully in more the 34 CDI small tour competitions in Europe with several top wins. Diana’s success and fashion sense brought her to the attention of the press in Europe and is already doing so in the US. Her infectious enthusiasm attracts attention in all the right ways and this international cover girl sheds light on the sport of dressage and her sponsors. Diana also likes to spread the joy. 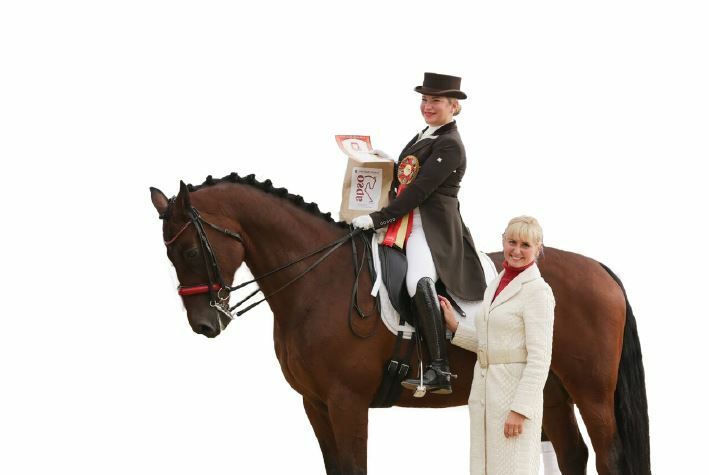 She is a sponsor of the Gold Coast Dressage Association and she is the sponsor of the International Dressage Sportsmanship Award which recognized other riders form countries around the world who have made the trek to compete and train in Wellington, Florida . “It is a big effort , but if you are driven to compete with the best, you make that sacrifice. I love to recognize great efforts in sportsmanship and horsemanship,” Diana explains. With her perpetual smile and optimistic nature Diana make that effort look, ell effortless!